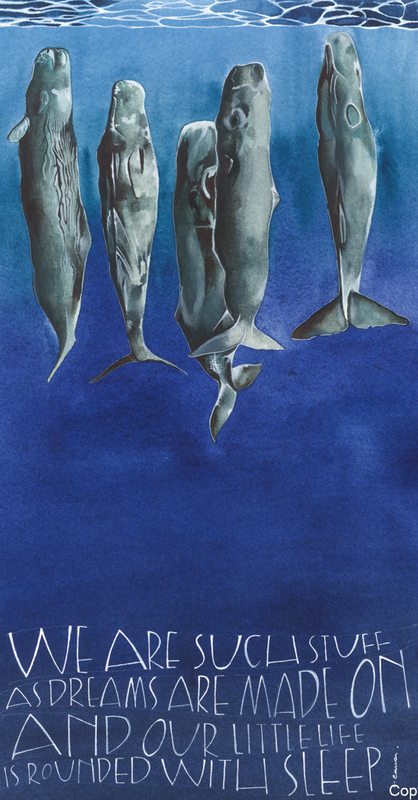 title: Whales - with words by Shakespeare - We are such stuff as dreams are made on and our little life is rounded with sleep. The unframed original is £200. Please message me at info@samcannonart.co.uk if you would like to buy it and I can give you payment options. Special Delivery Postage in the UK is £7.50.